Nantucket Kids is a classic, luxury children’s apparel company, based in New England, USA. I was truly honoured to be asked to create a custom Toile de Jouy inspired pattern with a Nantucket theme, using familiar and iconic landmarks and features for their Spring/Summer -19 collection. The pattern is available on a range of garments and pj’s for both kids and their moms. Svanefors Textil is one of Swedens largest wholesalers of home textiles, fabric and interior details. For their Fall/Winter -18 collection they chose my pattern design GEMSTONE for pillows, curtains, valances and fabric by the yard in three colorways. For their Spring/Summer -19 collection my pattern PIONEE was printed in two colour ways and used for pillows, cushions, curtains, aprons, kitchen towels, oven mitts, pot holders, bags and much more. 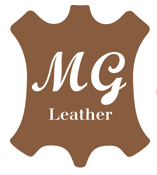 MG Leather is a Swedish wholesaler of leather, licenced to use my pattern design SAKURA in three colorways and ZACK on printed leather that is then sold to manufacturers of leather goods such as clogs and sandals. Design Segel is a high end supplier of bespoke UV-protective sun sails for homes, restaurants and schools for example. I was asked to create a custom pattern to be used for various uses such as invoice, certificates and marketing assets. For the task I incorporated the product to the scenes and motifs of this Toile de Jouy inspired pattern . Qualis is a wholesaler of wooden and PU bottoms for clogs, sold to clog manufacturers all over the world. I was asked to create a new pattern for the sole of the clog bottoms and created a pattern of hearts and circles that can be viewed in a various ways - as flowers, hearts and cloves. Hand painted ceramic art. 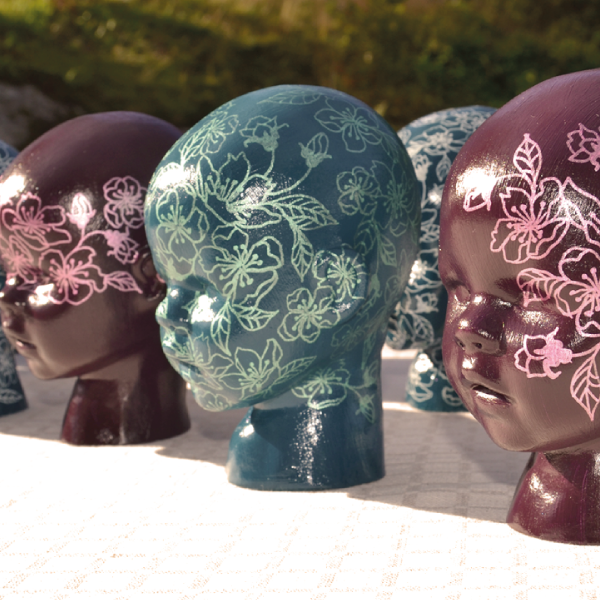 In collaboration with ceramics artist Lisa Hammar Posse I created a limited edition of 10 hand painted Raku Dolls, every piece unique signed and numbered. For Marcus Sweden, a company that manufacture and sell clogs and sandals I created a new logo and illustration. I sell and license existing designs as well as take on commission work. Welcome to contact me to see the complete portfolio or for licensing & commission inquiries.